Ever wondered what went into making your frying pan? A nonprofit group suggests troubling origins for some popular kitchenware in a new report that accuses suppliers of labor abuses in China. An investigation uncovered "illegal and unfair working conditions" at five Chinese factories that produce pots and pans for companies including Walmart (WMT), Kohl's, Carrefour (CRERF), Macy's (M), Ikea, Cuisinart and Tupperware (TUP), according to the report by China Labor Watch. The New York-based watchdog claims factory workers were forced to sign blank labor contracts that didn't specify wages, length of employment and other hiring terms. Some employees said they never received overtime pay, were fined if they refused to work past their assigned shifts and were exposed to serious safety hazards. The factories also allegedly failed to properly train workers, prevent safety hazards or provide sufficient protective equipment. In some cases, employees were even coached and forced to lie to auditors in order to pass inspections, the report said. Calls to the factories listed in the report went unanswered. Ikea, meanwhile, said it was taking the allegations "very seriously." 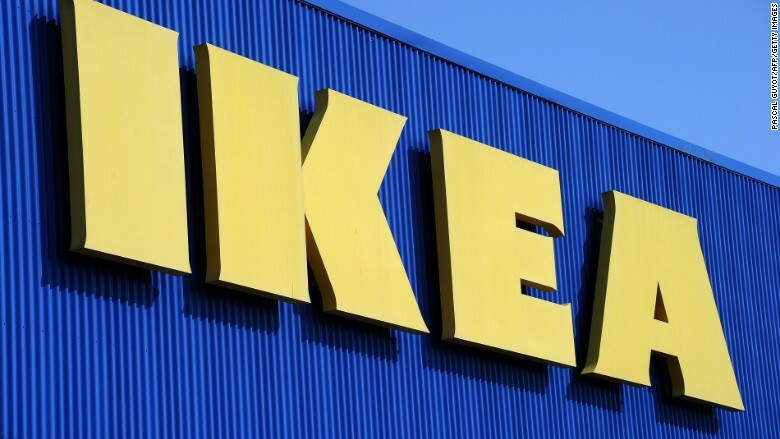 "If the findings are verified to be correct, this is a breach of our supplier code of conduct and consequently totally unacceptable," Ikea said in a statement. "We have initiated a thorough investigation and will take necessary and immediate actions." Walmart is also looking into the accusations. "We are aware of the report and are reviewing the findings and will take action as appropriate," said Walmart spokeswoman Marilee McGinnis. Other retailers contacted by CNNMoney didn't respond to requests for comment. China Labor Watch called on the brands to work with suppliers to improve labor conditions, strengthen due diligence and install a hotline for workers to report potential violations. The group has previously investigated suppliers for Apple, and toy brands Mattel and Hasbro, for alleged labor violations. While increased scrutiny has led to more awareness about various labor abuses at Chinese factories in recent years, advocacy groups say many are still cutting corners to the detriment of workers.